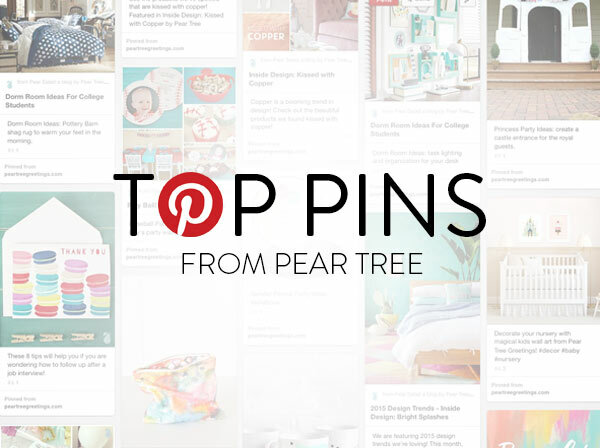 Wondering what’s hot on Pinterest from Pear Tree? Take a peek at our top pins. 5 Gender Reveal Ideas: This idea is easy and a fan favorite! 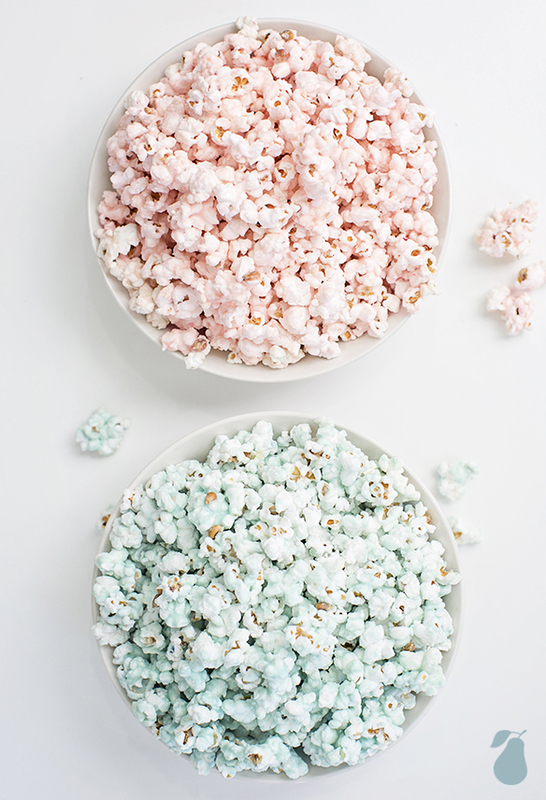 Pop white popcorn, drop a little food coloring into melted white chocolate chips, drizzle it over the top, and then mix. It’s a perfect snack for a gender reveal party. 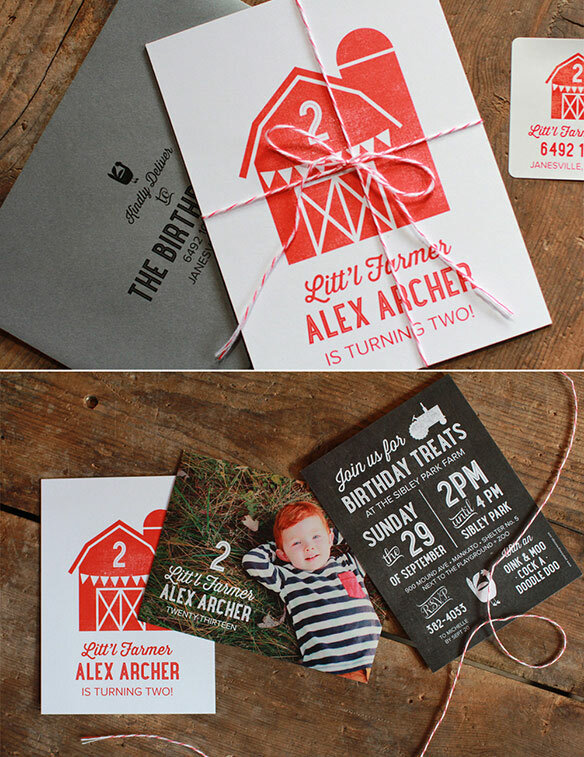 Farm Party Ideas with Printables: This kids birthday invitation has 3 pieces all wrapped up in baker’s twine. It sparked so many creative ideas for Alex Archer’s 2nd Birthday. Yellow and Grey Baby Shower: The perfect drinks to celebrate a soon-to-be perfect baby! 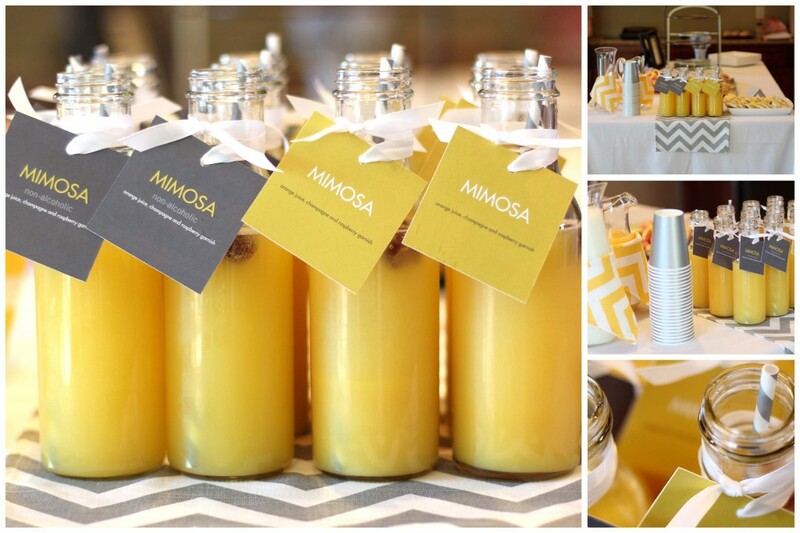 This image features gift tags wrapped around non-alcoholic mimosas. This party was a hit for the mom-to-be. Be sure to follow Pear Tree on Pinterest to see our latest products and ideas. Or, if you happen to be shopping at Pear Tree be sure to pin your favorite cards, invites and decorations! Visit Pear Tree Greetings's profile on Pinterest. © Pear Tree · · All rights reserved.